The relationship between the Middle East and South East Asia is an historic one that stems back to the ancient spice route. Now, governments are using those trade routes and Islamic links to tap into a larger market of 1.5 billion Muslim consumers worldwide. This week MME takes a look at how both business and government are trying to create opportunities in the rapidly expanding Muslim market. Malaysia is one of the key centers for Islamic finance, accounting for 54 percent of global sukuk activity in 2009. 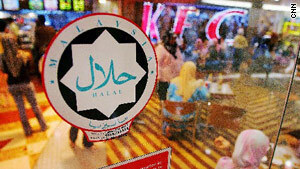 Bank Negara, the country's central bank, hopes to boost the growing interest in Islamic products. This week MME sits down with the Bank's Governor, Tan Sri Zeti Akhtar Aziz about developing the Islamic brand.